3:25 De Maxx - Long Player 22 [The Dubstep Edition] La Musique Fait La Force / N.E.W.S. 3:22 MNM Party 2012.1 541 / N.E.W.S. 2:23 Shut Up And Dance 2016/2 541 / N.E.W.S. Jetzt singt er wieder auf seine etwas tranigen Art - dazu gibt's Beats im Dauerloop - vom Excitement eines I'M NOT ALONE sehr entfernt - Konkurrent EXAMPLE ist zur Zeit sowieso eine Nasenlänge voraus. Wonderful. Better than Bounce and I hope it can have even more success than that. The video is very nice and summery as well. I thought he said he wasn't going to sing anymore? Needless to say, I'm happy that he does here. Not as good as Bounce just yet but still a cool follow-up. Its okay, but it also has a great beat like all Calvin Harris songs . Anhörbarer Clubtrack ohne der große Knaller zu sein. Sehr guter Clubtrack. Klare 5*. Love this! alot better than bounce, this has adreneline and a catchy groove, easily one of his best tracks. 7th UK top 10. UK#2 and Ireland#2. US#12. Much like "I'm Not Alone" a couple years prior, this track is pure euphoria that makes me happy listening to it every time. The chorus also preys on my unavoidable love of a good FTTF, so that's a moment of glory for me. We zijn nog niet uitgebouncet en daar is al een opvolger. Calvin Harris is heel goed bezig. Great song. I love the way all Calvin Harris' tracks get stuck in your head after their first listen. <br><br>Edit: Superb song. This song hopefully will be as successful as Bounce. If not more. <br><br>Edit 2: Absolutely brilliant. Anthemic. Good song.<br><br>Edit: No it's not. It's not bad, but I grew tired of this even quicker than I did of Bounce. 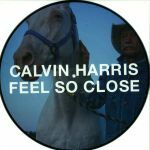 Alweer een zeer sterk nummer van Calvin Harris deze keer ! Deuxième single de son quatrième album. damit kann ich momentan nicht so viel anfangen... grosser erfolg in england. Awesome song, especially the 'chorus'. <br><br>I'm glad this has managed to stand the test of time - just a catchy now as it was in 2011. Still an awesome track from Calvin Harris which would have to be my favourite track of his so far. 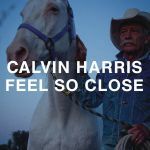 Another great Calvin Harris single, his best for the year (at the moment). Enjoying this song more than Bounce and could contend to be my favourite dance track of the year! This is horrible. The 2 singles from the latest album have been major letdowns. Eerst was ik er niet echt weg van, maar nu vind ik het een super plaat. ▒ Een ø dansplaat uit juli 2011 van de 27 jarige Schotse muzikant en zanger: "Adam Richard Wiles", alias "Calvin Harris" !!! Ook in mijn ogen géén hoogvlieger ☺!!! This song grew on me, no thanks to the singing more to the awesome beat breakdown. But it's only good for dancing which I guess is a success in terms of Calvin Harris music. This is what I call crapolla! Hier krijg je toch echt geen club mee plat. Erg saaiig. Ik snap niet dat dit wél scoort en Ready For The Weekend niet. Dit is me inderdaad een beetje saai en eentonig. Verder een prima plaat, maar niet voor de hitlijsten. Boring, annoying and forgettable.<br><br>EDIT: Not as bad as before. Nothing more than a 3 though. So awesome. Easily one of the best dance tracks of the year. Nothing spectacular but much more enjoyable than Bounce. I don't hate this track but i find it horribly over rated considering the brilliance of his earlier material which failed to impact anyone! Sehr schöner Dance-Pop Song, Calvin Harris weiss wie man gute Songs produziert. Nero Remix: Sehr guter Dubstep-Remix, gefällt mir besser als das Original (hätte wohl 3* bekommen). Der Typ ist ja ein Oberlangweiler, aber das Stück hier hat was, das mir gefällt. Seine Stimme ist unterdurchschnittlich, der Beat recht ordentlich. Ja, recht stampfig das ganze. Die Gesangspassagen sind das Beste an dem Track. Aufgerundete 4 Sterne. Nervige Stimme, schlechte Synthis, schwacher Beat. Standard Elektromüll. Das gehört nicht gerade ins Kapitel Überflieger, aber man kann sich's zumindest anhören - knappe 4.<br><br>Edit: ...leider nur über eine beschränkte Zeitspanne, denn dann beginnt dieser Song einfach nur noch zu nerven. Awesome song. Not his best or even the best from 18 Months but still amazing. Great music video as well. stark. calvin harris, wie ich ihn mag. Quand Calvin Harris ne compose pas pour d'autres, il fait du bon aussi. 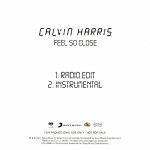 This is why Calvin Harris is one of the best producers in dance music right now! Calvin's absolute best here! I seem to slightly favour songs where he is singing. Generic but not bad in small doses. Sehr eintönig, gefällt mir gar nicht. Fand Harris ja schon immer geil! Dieser hier gehört zu den besten. Definitely one of his signature tracks. This was everywhere at the time and with such a catchy and upbeat song like this, deservedly so! Erstaunlich gut!!! Zurecht Single, sogar knappe Höchstpunktzahl! 6*! Ok, nicht umsonst auf der Playlist der Nationalmannschaft. Ein bisschen viel Sound, aber halt gekonnt. Hm, bin doch ziemlich überrascht, dass das kein Hit war. Ist auf jeden Fall vom Sound her nicht anders, als die Songs von ihm, die es bis weit nach oben in die Charts schafften. Gute 4.